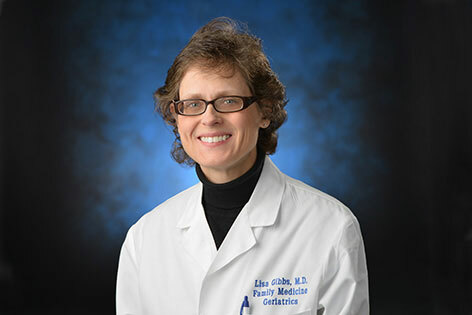 Dr. Lisa M. Gibbs, director of the UC Irvine Health SeniorHealth Center, is a leader in efforts to combat elder abuse. The U.S. Department of Justice has honored UC Irvine’s Elder Abuse Forensic Center with a 2011 Award for Professional Innovation in Victim Services. The center was among 10 organizations and individuals recognized for outstanding work on behalf of crime victims. The UC Irvine School of Medicine's geriatrics faculty and staff spearheaded the country’s first Elder Abuse Forensic Center in 2003. It aids victims of elder and dependent-adult abuse and brings together legal, medical, social services and law enforcement experts to better understand, identify and treat such abuse; help prevent it; and determine more efficient ways to successfully prosecute offenders.